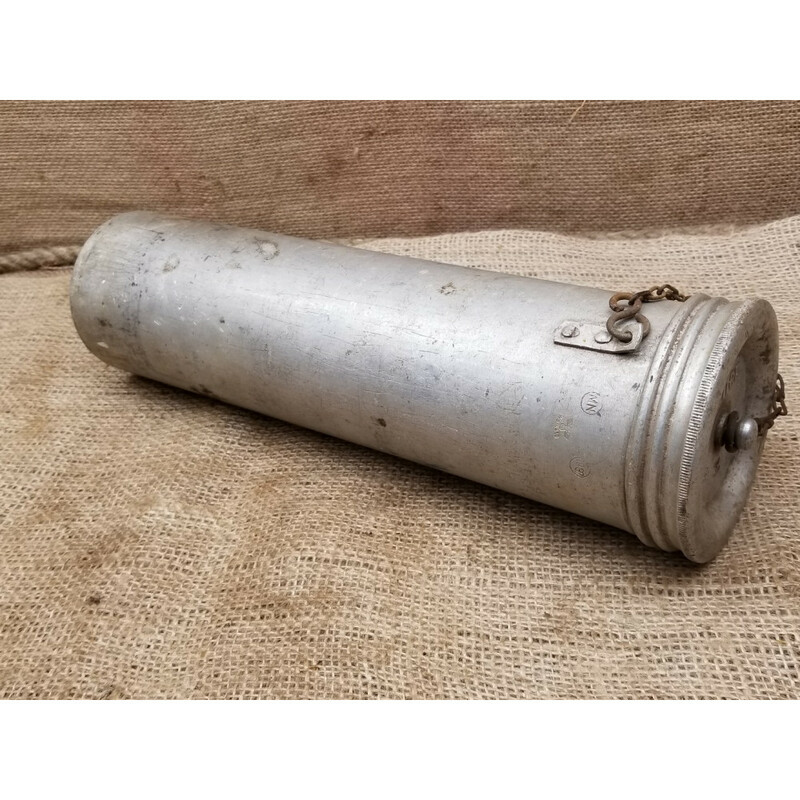 German Fieldkitchen (Feldkuche) pepper container "Pfeffer"
Up for sale original German WWII field kitchen accessory. 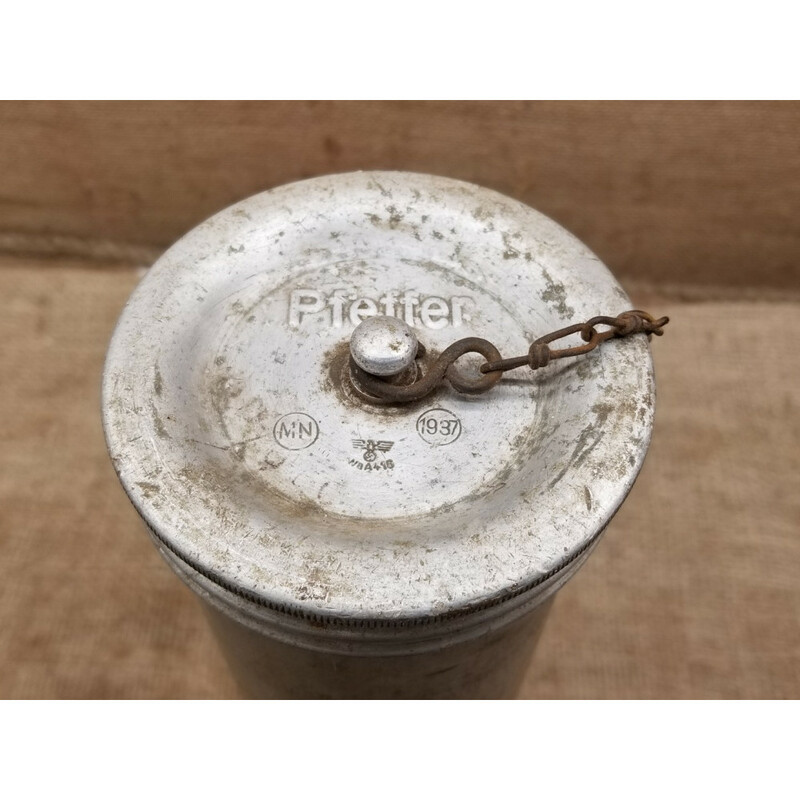 Alu container for pepper German translate "Pfeffer"
Very nice barn found condition, no damage. Original chain for cap. 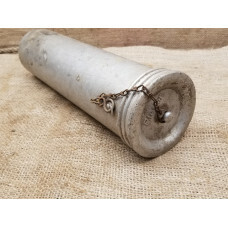 The markings are nice preserved. Check the pics. 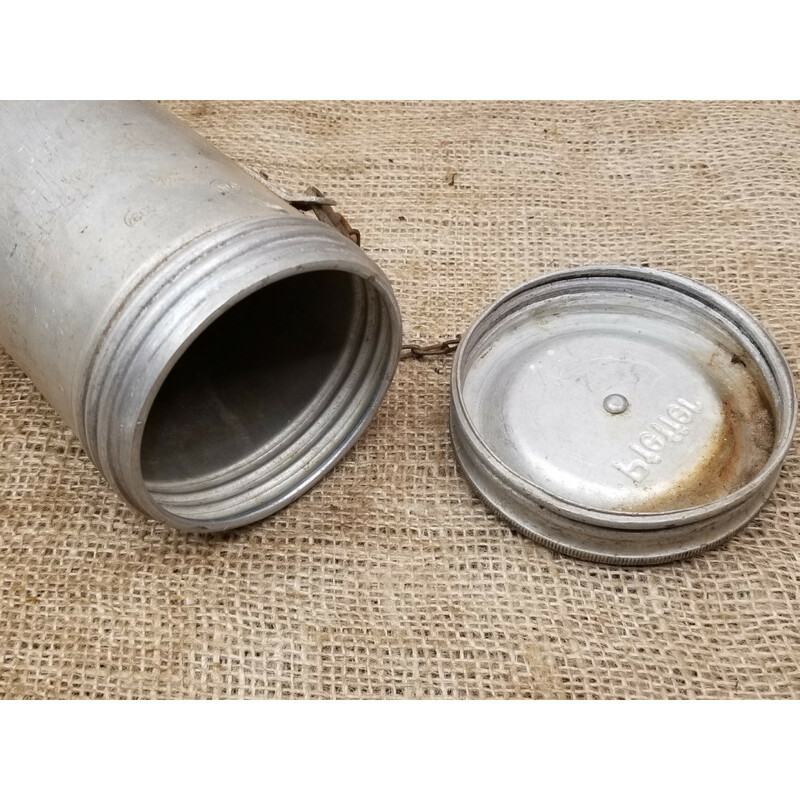 Up for sale german wwII era water can, with assembly to carry it with straps on the back. 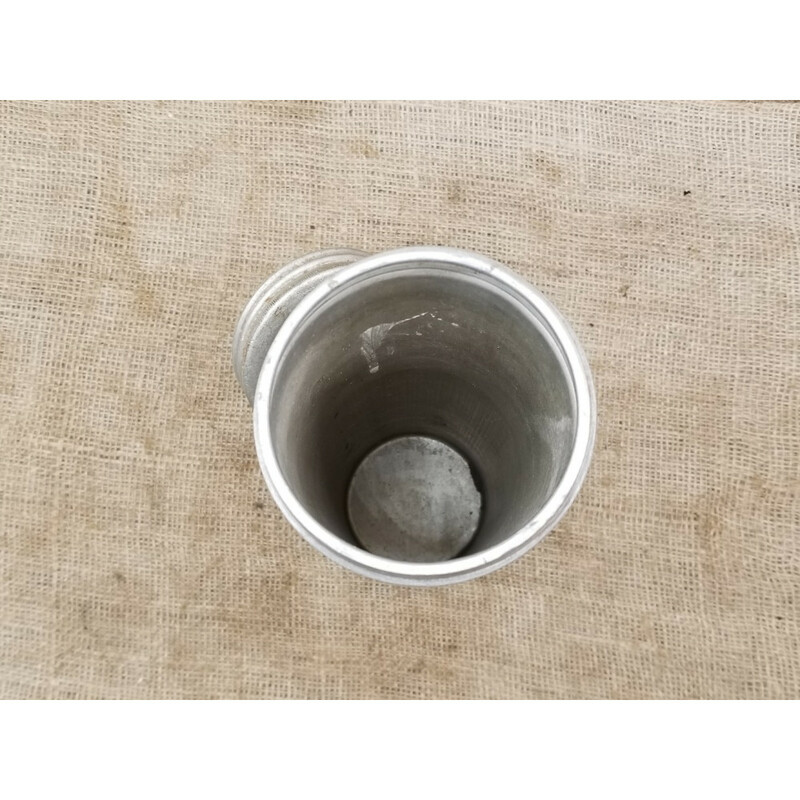 Quite..
Up for sale german wwII DAF porcelain tea / coffee cup with small plate around 15 cm diameter.Nice c..
Up for sale German original thermos for soup or second dishes.Made by STABILOTHERM D.R.P. 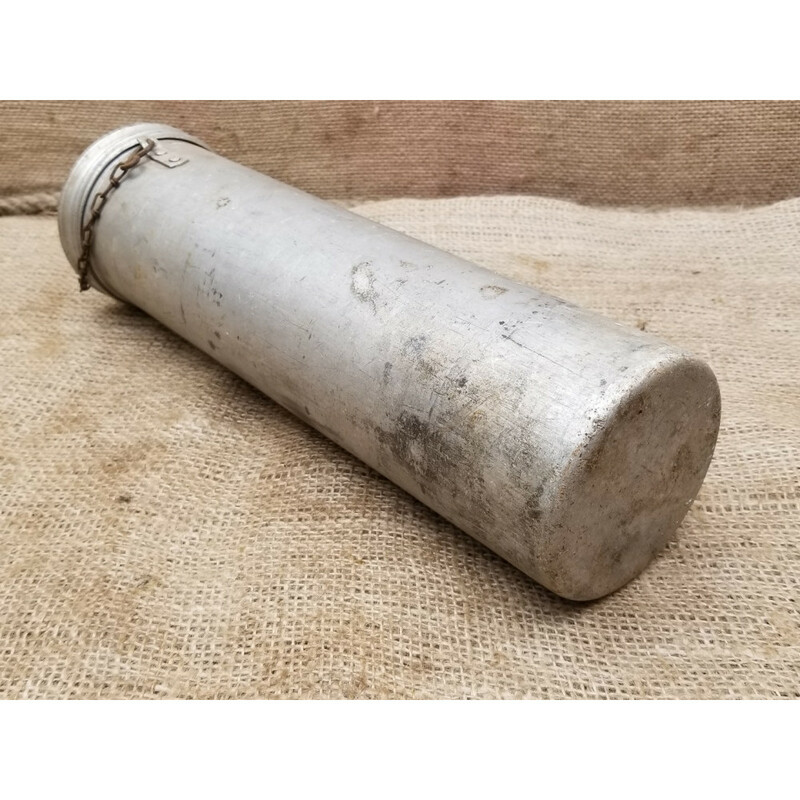 (Deutsche ..
Up for sale Wehrmacht tin cans opening device. 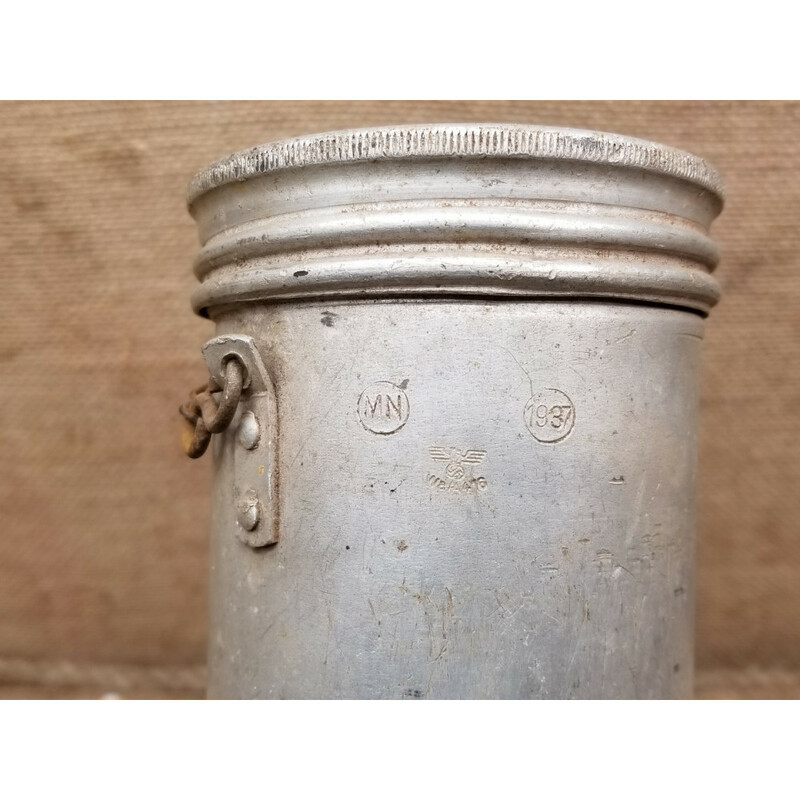 Quite nice strong metal ground dug found co..
Up for sale original WWII period big tea/coffee pot.Barn found condition - Luftwaffe markings. ..